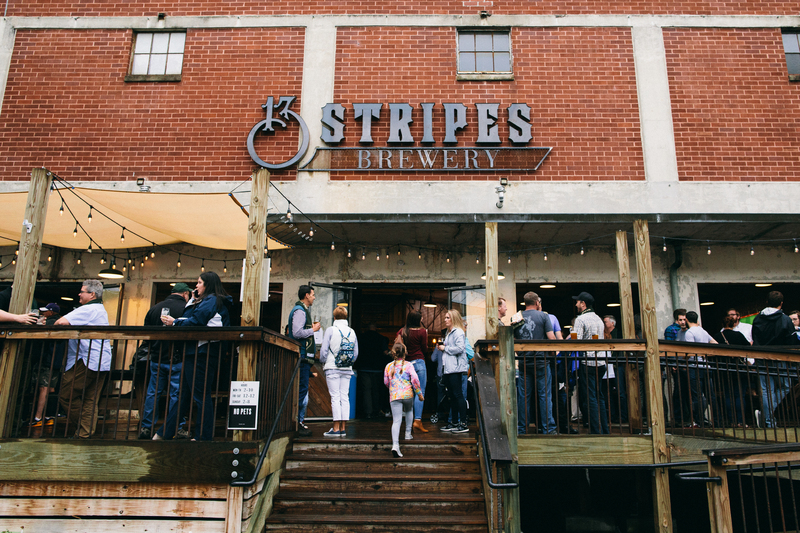 Greenville, SC – Greenville Football Club and 13 Stripes Brewery have announced a partnership extension through 2019 that will see 13 Stripes Brewery remain the Official Brewery of the club. 13 Stripes Brewery will serve as the event location for the clubs 2019 Launch Event, a mid-season festival as well as a 2019 Season wrap event, along with community events held at local bars/breweries that distribute 13 Stripes Beer. As part of the agreement, the 13 Stripes Brewery logo will appear on the front of the training jerseys the players wear as well as those sold to supporters. The 2019 Launch Event will be held on Thursday, May 2 at 13 Stripes Brewery from 6:30-9:30pm. The event will be the first opportunity for season ticket holders that selected “Local Pickup” to get their packages. The night will also feature food and 13 Stripes beer options, meet and greet with GVLFC players, as well as EA Sports FIFA, and other fun activities for all ages! Greenville FC’s 2019 Home Opener is Saturday, May 11 at Sirrine Stadium in downtown Greenville. You can get season tickets by visiting https://www.gvlfc.com/tickets/.